'Seize the Daylight': A History of Clock Chaos Benjamin Franklin first called for the government to tinker with clock hours in the 1780s. But it wasn't until World War I that the U.S. adopted daylight-saving time as a way to squeeze more out of the day. David Prerau explores the curious history of DST. Always practical, Benjamin Franklin first called for the government to tinker with clock hours in the 1780s. But it wasn't until World War I that the United States finally adopted daylight-saving time as a way to get more efficiency out of the day. 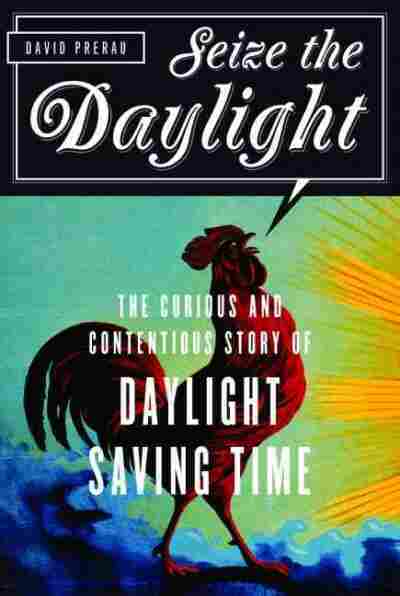 In his new book Seize the Daylight, author David Prerau explores the complicated politics and curious history of DST. He speaks with Sheilah Kast. Draft Status, Vietnam War: A man born just after 12 midnight DST avoided the Vietnam War draft by arguing that, under official standard time, he was born the previous day — which had a much higher draft lottery number. Crime in California, 1997: A California manslaughter trial hinged on the possibility of water on the road during a car accident — and whether timed lawn sprinklers had been reset for the change to DST. Halloween Trick-or-Treaters: In the United States, DST always ends a few days before Halloween. A bill to extend DST to Halloween is proposed almost every session of Congress, an effort to provide trick-or-treaters more light and, therefore, more safety from traffic accidents. Also, for decades, candy manufacturers have lobbied for a DST extension to Halloween, as many young trick-or-treaters gathering candy are not allowed out after dark. An added hour of light could mean a big holiday treat for the candy industry. Riots: Patrons of bars that stay open past 2 a.m. lose one hour of drinking time on the day when DST springs forward one hour. This has led to riots, including one in Athens, Ohio, site of Ohio University. Voter Turnout: DST ends about a week before U.S. Election Day. There have been proposals to extend DST to encourage greater voter participation, since more people might go to the polls in the evening if it were still light out when they got home from work. Train Travel: To keep to published timetables, trains can't leave a station before the scheduled time. When the clocks fall back one hour in October, all Amtrak trains in the United States that are running on time come to a stop at 2 A.M. and wait one hour before resuming. Overnight passengers are often surprised to find their train at a dead stop, and their travel time an hour longer than expected. At the spring DST time change, trains instantaneously become an hour behind schedule at 2 A.M., but they just keep going and do their best to make up the time. Is to steal a few hours from the night"
-- Thomas Moore, "The Young May Moon"
Benjamin Franklin conceived of it. Sir Arthur Conan Doyle endorsed it. Winston Churchill campaigned for it. Kaiser Wilhelm first employed it. Woodrow Wilson and Franklin Roosevelt went to war with it, and, more recently, the United States fought an energy crisis with it. For several months each year, for better or worse, it affects vast numbers of people throughout the world. And for one hundred years it has been a subject of recurring controversy in the United States, Britain, and dozens of other countries. But to trace the beginnings of daylight saving time, we must look first to Paris. "An accidental sudden noise waked me about six in the morning," he wrote in a whimsical letter to the Journal de Paris, "when I was surprised to find my room filled with light. I imagined at first that a number of lamps had been brought into the room; but rubbing my eyes I perceived the light came in at the windows." The year was 1784, and the seventy- eight-year-old Franklin -- statesman, author, and scientist -- was living in Paris while serving as the American minister to France. His attendant had forgotten to close the shutters the previous evening, and when Franklin saw the sunlight streaming through his windows, he checked his watch. It was just six o'clock in the morning. "Still thinking it something extraordinary that the sun should rise so early," Franklin continued, "I looked into the almanac, where I found it to be the hour given for the sun's rising on that day. [Those] who with me have never seen any signs of sunshine before noon, and seldom regard the astronomical part of the almanac, will be as much astonished as I was, when they hear of its rising so early; and especially when I assure them that it gives light as soon as it rises. I am convinced of this. I am certain of my fact. One cannot be more certain of any fact. I saw it with my own eyes. And, having repeated this observation the three following mornings, I found always precisely the same result." Franklin's "discovery" led to "several serious and important reflections." He realized that had he risen at noon as usual, he would have slept through six hours of sunlight. In exchange, he would have been up six additional hours that evening by candlelight. Since candlelight was much more expensive than sunlight, Franklin's "love of economy" induced him to "muster up what little arithmetic" he had mastered to calculate how much the city of Paris could save by using sunshine instead of candles. Ninety-six million livres tournois is the equivalent of about $200 million today -- "an immense sum that the city of Paris might save every year by the economy of using sunshine instead of candles!" Moreover, Franklin added, "You may observe that I have calculated upon only one half of the year, and much may be saved in the other, though the days are shorter. Besides, the immense stock of wax and tallow left unconsumed during the summer will probably make candles much cheaper for the ensuing winter." Although Franklin wrote in what one historian termed "a happy combination of humor and prudent instruction," he had obviously given the subject much thought. In fact, the germ of his idea can be traced back many years. In 1757 he made a similar observation in London: "In the summer, when the days are long… in walking thro' the Strand and Fleet-street one morning at seven o'clock, I observ'd there was not one shop open, tho' it had been daylight and the sun up above three hours; the inhabitants of London chusing voluntarily to live much by candlelight, and sleep by sunshine, and yet often complain, a little absurdly, of the duty on candles and the high price of tallow." Although Franklin quite intentionally overstated the total savings by assuming that all Parisians slept until noon, he was serious about the underlying principle. He concluded: "It is impossible that so sensible a people, under such circumstances, should have lived so long by the smokey, unwholesome, and enormously expensive light of candles, if they had really known that they might have had as much pure light of the sun for nothing." 1. Let a tax be laid… on every window that is provided with shutters to keep out the light of the sun. 2. Let… no family be permitted to be supplied with more than one pound of candles per week. 4. Every morning, as soon as the sun rises, let all the bells in every church be set ringing; and if that is not sufficient, let cannon be fired in every street, to wake the sluggards effectively, and make them open their eyes to their true interest. This prudent plan was certainly in keeping with the man who, in Poor Richard's Almanack, had written "Early to bed and early to rise makes a man healthy, wealthy, and wise" (though obviously he had not always practiced what he preached). Fortunately for late-sleeping Parisians, Franklin's Economical Project was never put into effect. Like Franklin's morning cannon firings, the basic goal of daylight saving time (DST) is to change the hours of human activity to make the best use of daylight. Rather than waking everyone early, however, as Franklin proposed, daylight saving time shifts the official clock time to provide extra daylight in the early evening in exchange for less daylight in the early morning. The clock is usually moved one hour forward in spring and back in fall, giving rise to the mnemonic phrase "Spring Forward, Fall Back." Although DST doesn't actually add daylight, it does provide more usable hours of daylight. In that sense, DST "saves" daylight -- especially during the months when the sun rises before most human activity begins. "Daylight saving time" is considered to be the correct term for this clock-altering process, since it refers to a time for saving daylight, but "daylight savings time" is also commonly used. Consider a summer day in Philadelphia, Denver, Naples, or Istanbul: four cities that, because of their geographic positions, have about the same sunrise and sunset times as each other on every day of the year (as in the preceding chart). On July 1, for instance, standard time sunrise is 4:35 A.M. and sunset is 7:33 P.M. Thus a worker who awakes at 7 A.M. and returns home at 6:30 P.M. would have slept through about two and a half hours of sunlight and would have only one hour of sunlight to utilize after returning home. However, with daylight saving time in effect, both sunrise and sunset are shifted one hour later -- sunrise to 5:35 A.M., sunset to 8:33 P.M. -- and one of the "wasted" early morning hours of sunlight is recaptured. Those Philadelphians, Denverites, Neapolitans, or Istanbullus now have an additional hour of sunshine after work with which to do whatever they please. The goal of daylight saving time -- to use daylight to its maximum advantage -- is generally recognized to be of universal benefit. Nevertheless it has been surprisingly controversial. Throughout its long and contentious history, daylight saving time has had an impact on a wide variety of often unexpected areas, from energy conservation, agriculture, and transportation to recreation, street crime, television schedules, voter turnout, gardening, schoolchildren, vehicular accidents, the workings of the stock exchange, and even the inheritance rights of twins. 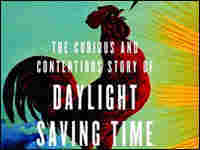 From Ben Franklin's era until today, the story of daylight saving time has been a fascinating and sometimes bizarre amalgam of colorful personalities and serious technical issues, purported costs and perceived benefits, agendas of interest groups and policies of governments, pushes for uniformity and pulls for regional differences. In fact, the sunlight that stole through Ben Franklin's window on that Paris morning has preoccupied the thoughts of more than a few scientific minds, and the energies of numerous political leaders, in a host of intriguing and unexpected ways in the two hundred-plus years since it awakened Franklin. Excerpted from Seize the Daylight by David Prerau. Used by permission of Thunder's Mouth Press.